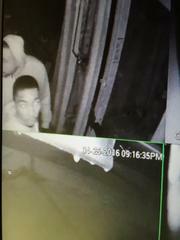 The Alhambra PD seeks public assistance in identifying residential burglary suspects. On April 25, 2016 at about 9:15 pm, a residential burglary occurred in the area of Meridian Ave/Main Street in Alhambra. The suspects jumped over a low brick retaining wall to get onto the property. The suspects walked down the driveway and entered the garage via an unlocked side door. They then entered the residence through a sliding glass kitchen window. The suspects exit the residence through the front door and proceeded to the waiting suspect vehicle. The suspects used a mobile device to communicate and they also ripped the alarm panel off the wall. 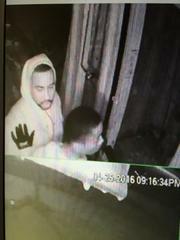 Suspect Information: Three black males in light colored hooded sweatshirts and light colored pants. The suspects also wore dark gloves. Contact Alhambra Police Department/Detective Ng if you have any questions or information at 626-570-5187.